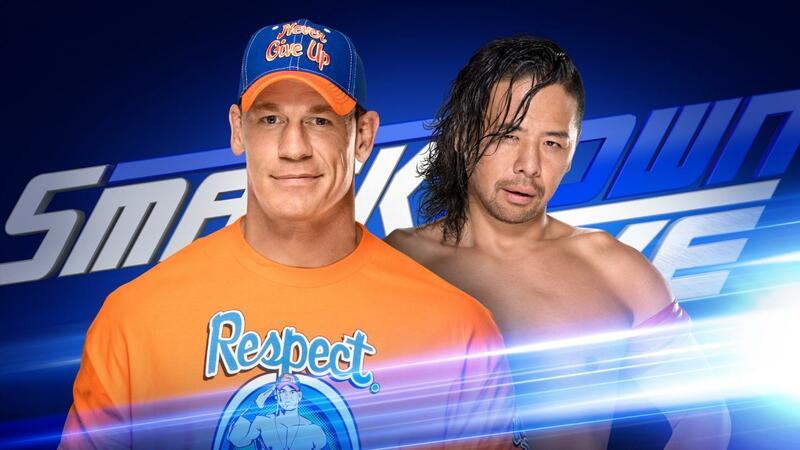 In the wake of Tuesday's SmackDown Live, I've seen a lot of wrestling fans complaining about the upcoming John Cena-Shinsuke Nakamura match. Daniel Bryan declared the winner of next week's encounter will go on to face Jinder Mahal at SummerSlam for the WWE Championship. Some fans are seemingly upset because the match is being "given away" on TV. Others think Nakamura will lose and in turn, is getting buried. But I disagree with both arguments. Sure this match will definitely be a PPV quality outing. But now that the WWE Network exists and most fans are locked into a subscription does WWE have to "save" matches anymore? And if you're not a Network subscriber would you pay $9.99 a month for this one match? Probably not. In this near era of technology, it serves WWE better to save high profile matches for Raw and SmackDown Live and boost the ratings for USA Network. Good ratings on TV equals higher rates for advertisers. The match hasn't even happened yet and some have already predicted a Cena victory. I agree that he will most likely win this encounter, but in my 1-2-3 cents, fans should put the shovel away because Nakamura isn't getting buried. Cena is a familiar face and will likely do the press leading up to SummerSlam. Plus the story will be 'Can John Cena break Ric Flair's World Championship record?' That alone adds more drama and interest to the match than a straight up encounter between Nakamura and Mahal. 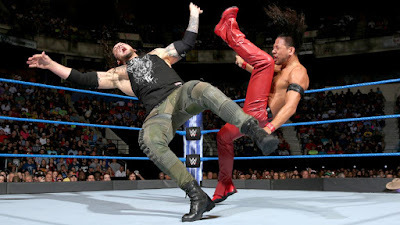 I can see the "rubber match" between Nakamura and Baron Corbin coming at SummerSlam. One scenario is Cena winning the gold only to lose it after being attacked by Khali and Corbin cashing in his Money in the Bank contract. Then Nakamura and Corbin could feud for the belt. 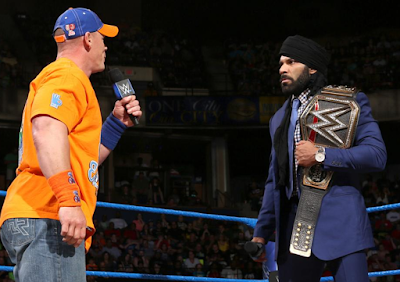 However, that scenario leaves Jinder out in the picture and the company has done a lot to build him up, and the best way to continue on that path is to have him beat Cena at SummerSlam. There are plenty of possibilities, so let's not jump to conclusions before the match has even happened. Enjoy the ride as we gear up for SummerSlam. It's my belief Nakamura will one day be the champion, but it doesn't have to happen right now. This fight will be worth watching and more to see that what Nakamura makes of his comeback. 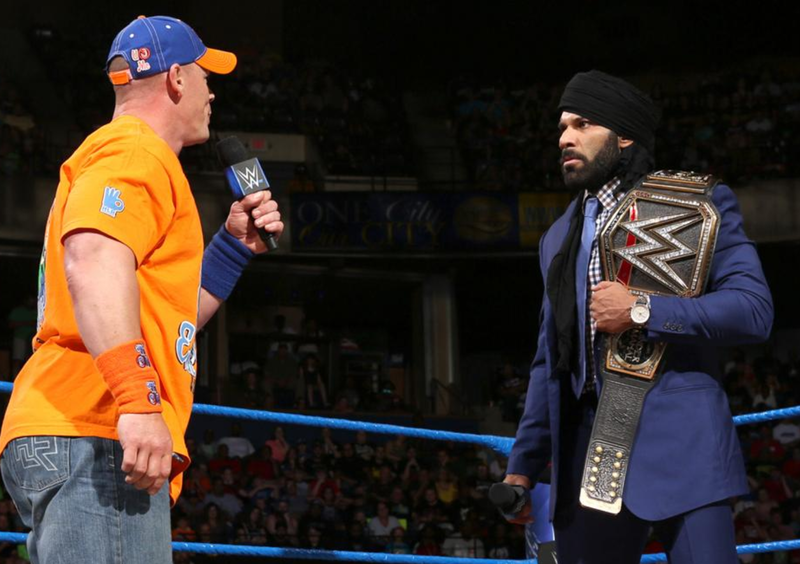 It will also be interesting to see that whether John Cena will be able to defend him.